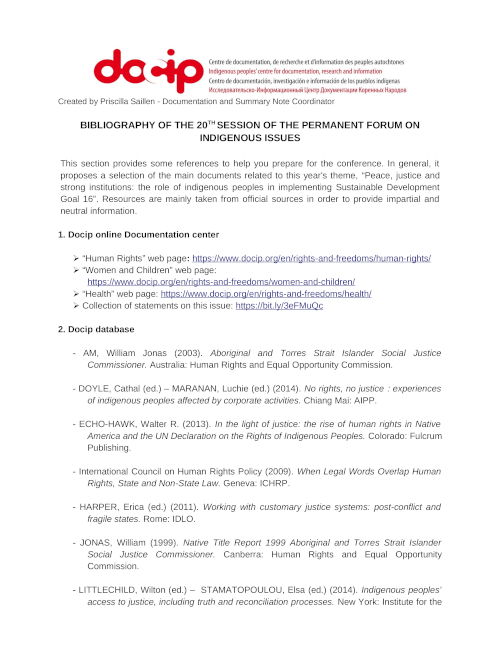 We have the pleasure to present you Docip’s bibliography for the 18th session of the UN Permanent Forum on Indigenous Issues (UNPFII). The meeting will be held at the UN Headquarters in New York from April 22 to May 3, 2019. The theme for this session is “Traditional knowledge: Generation, transmission and protection”. More information on the meeting will be published soon on our website.